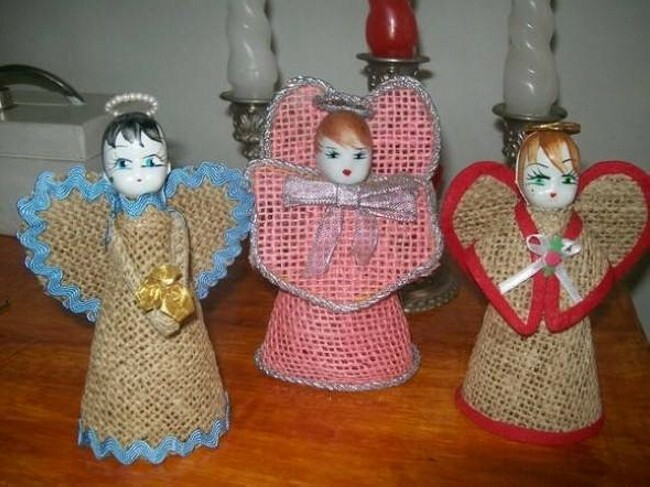 Have you ever heard of burlap? 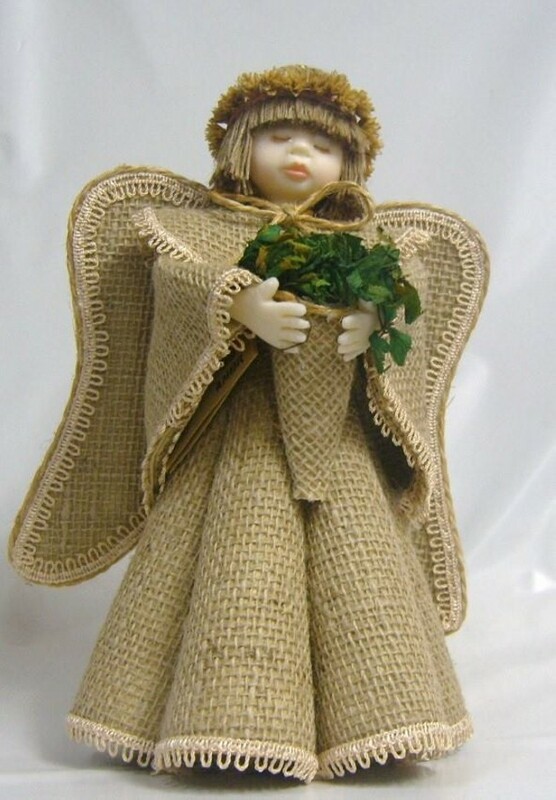 Before we go on the journey of burlap recycled art crafts or products it would be better to ponder upon the specific fabric and its qualities. In the US or Canada, burlap is a woven fabric that is usually made from the skin of a famous plant called jute or from the sisal fibres. This may also be combined with other vegetable fibres to make rope, nets and other such products. Another cloth called gunny is similar with burlap. 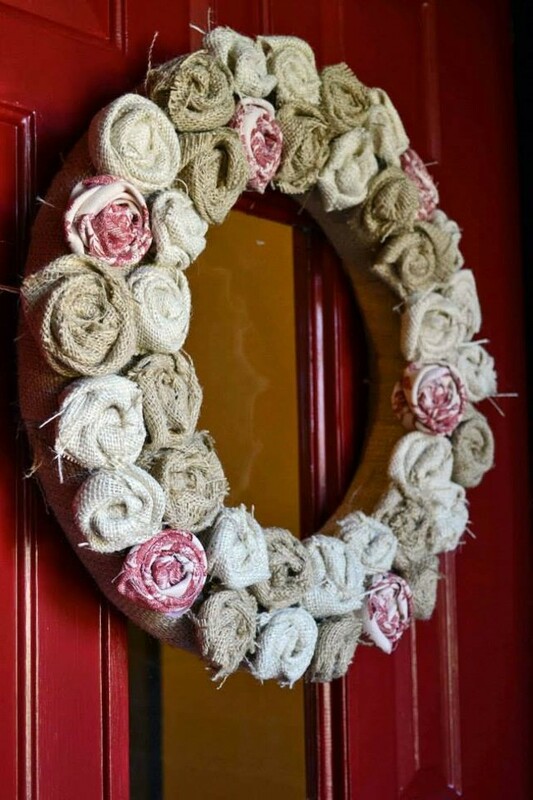 Today we will be discussing the possibilities of recycling the burlap fabric.Lets get started with an amazing project that is recycled with the burlap fabric, that is a burlap canvas that could also be used as center piece or a decoration piece in your room interior. You can use it to paste your photos or even some notes. Here you can see some raw stones pasted on it instead of some photos or notes. 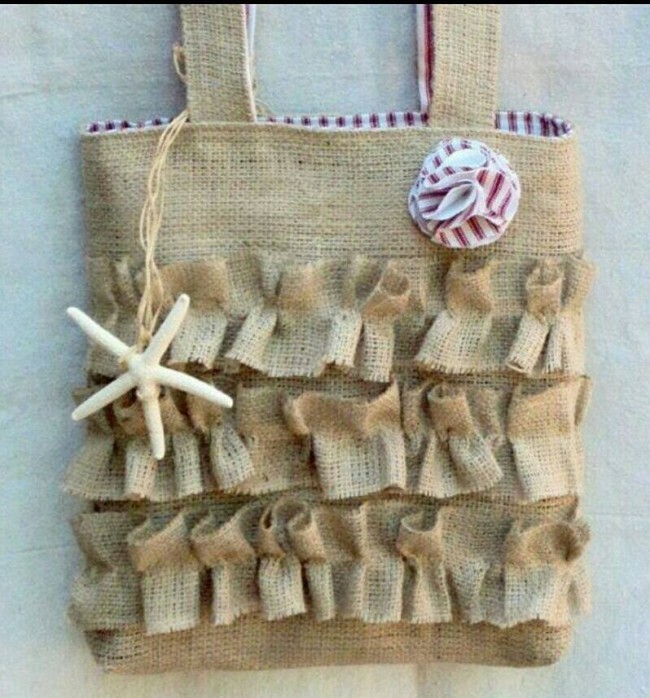 Stones and seashells collected from seashore are used in its making on the burlap fabric. This canvas could be best used in wall art and could be pasted right in your living room for some real charm. Now coming towards the next one, you can see a burlap fabric recycled cushion here with some red color additional fabric brooch on it. 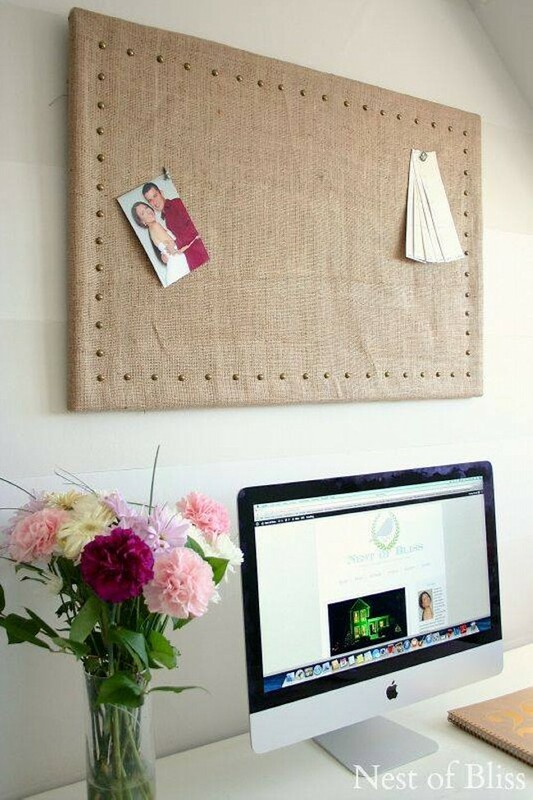 If you are interested in giving a rustic touch to your bedroom, this is probably the best thing that you can do. 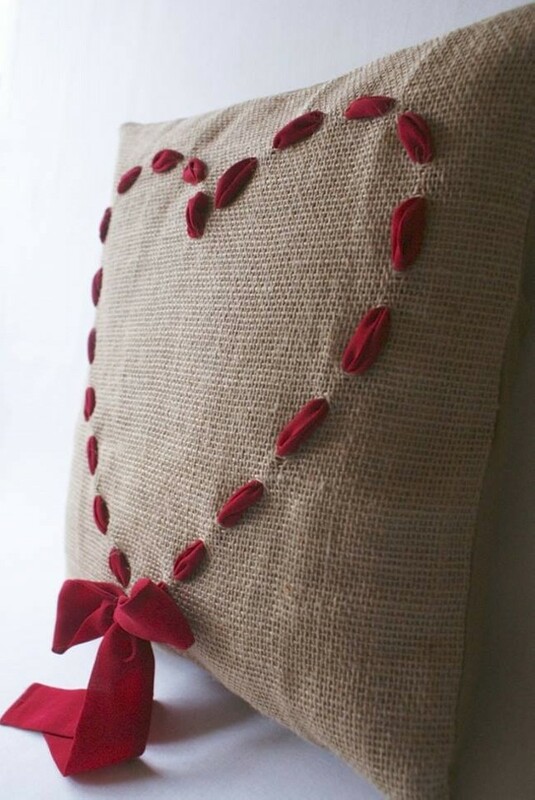 A cushion is a symbol of comfort and ease, so this burlap fabric decorator cushion is going to be the best among your entire collection of regular and decorative cushions. 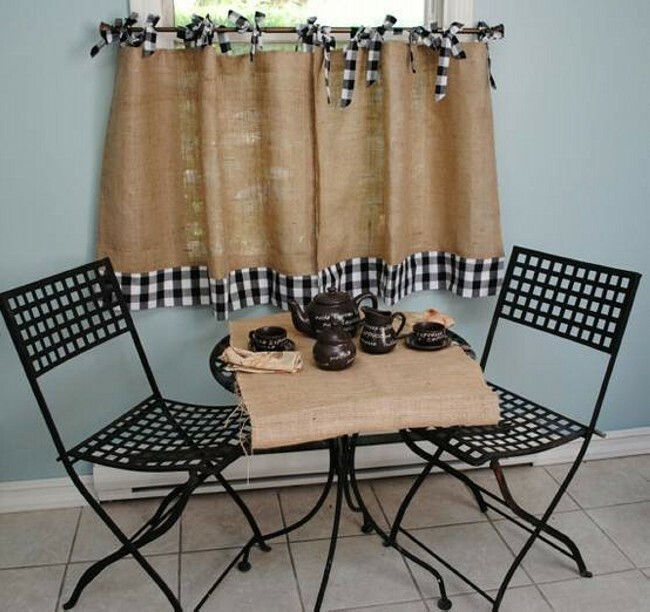 While at the same time it is not going to cost you much as burlap fabric is not expensive at all. 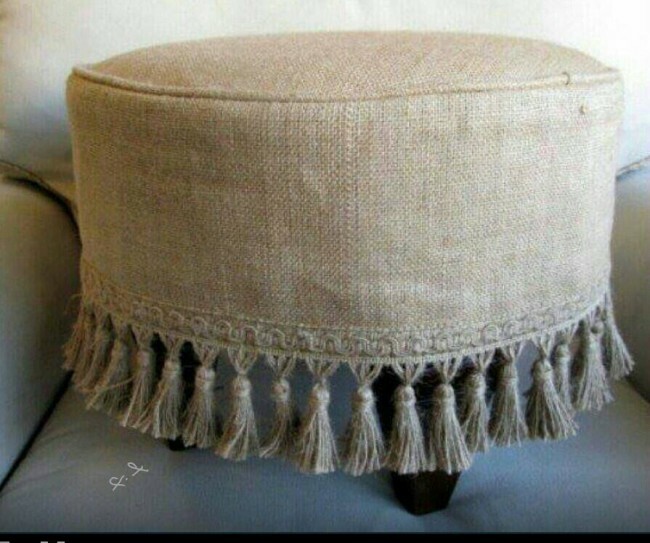 Next comes here a burlap fabric woven center piece that could beautify your living room or even your drawing room. 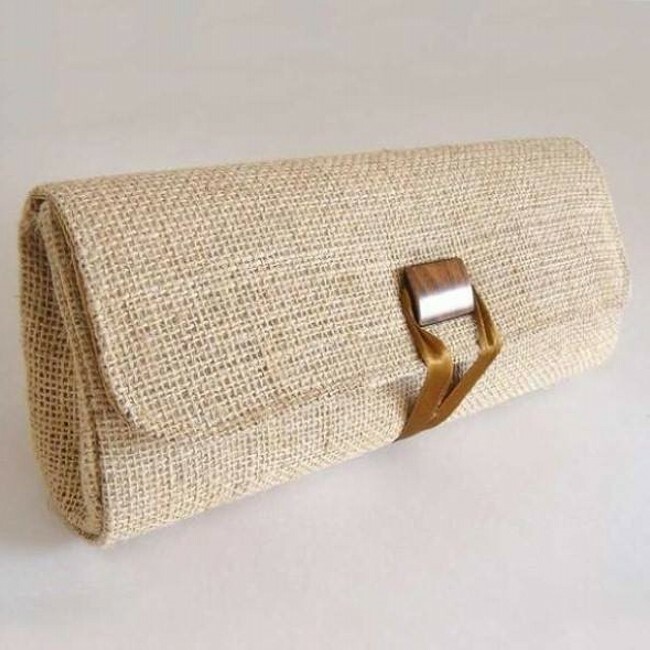 As we have discussed earlier that burlap fabric when combined with some other vegetable threads it is used in making many other things like ropes and nets. 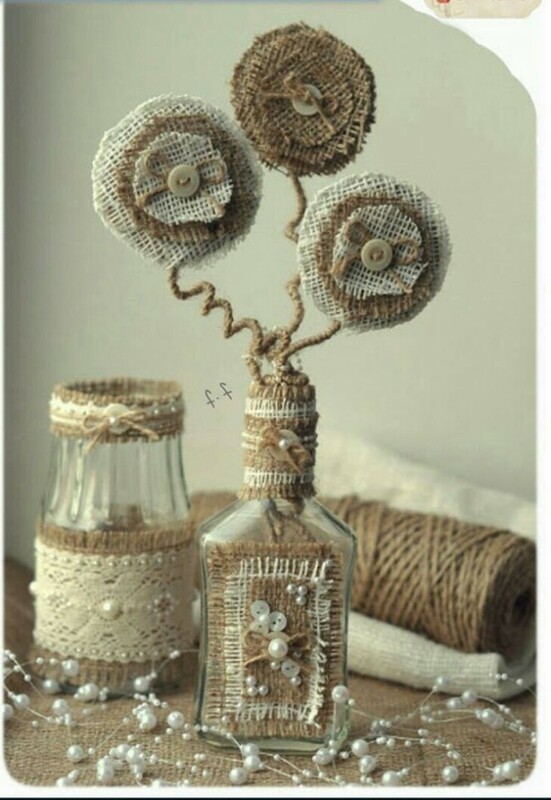 But here we see the burlap fabric being recycled as a center piece that could be used in the beautification of your room. 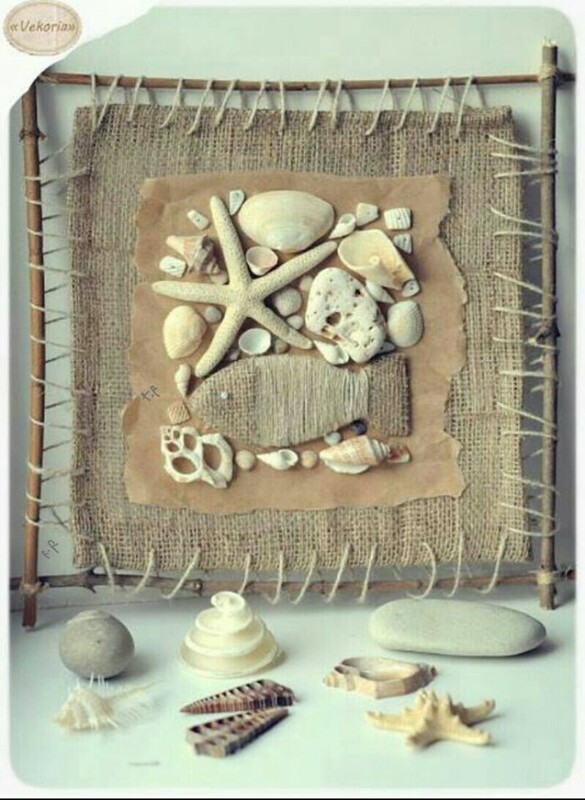 But if you are a real crafter and artistic in nature then you could also used this burlap woven sheet and cap practically, this just depends on you that how you use it. 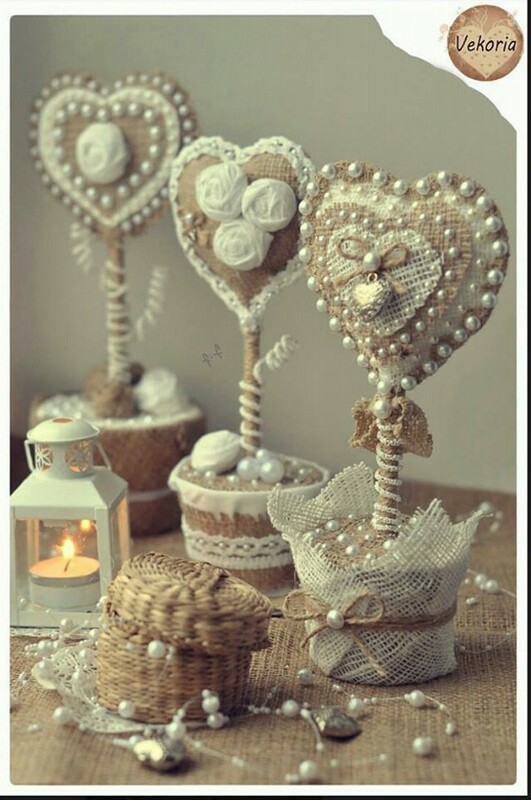 We have already discussed about the availability of the burlap fabric as it is easily available in the market or you can purchase it from the local crafts store easily and at the same time it is pretty inexpensive too. 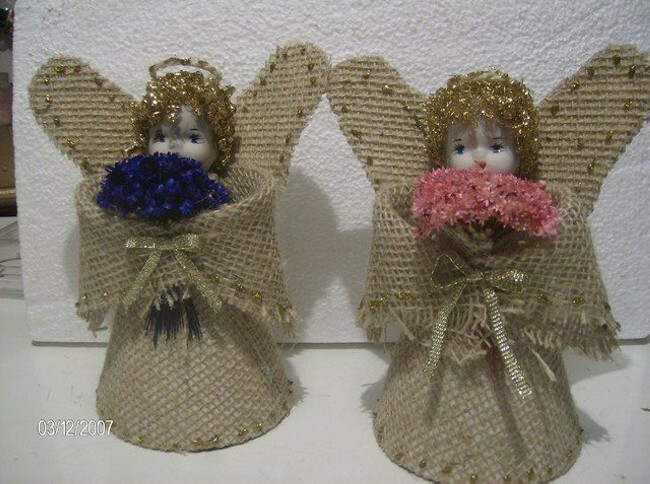 But still it gives you option to make hundreds of art crafts by upcycling the burlap fabric. 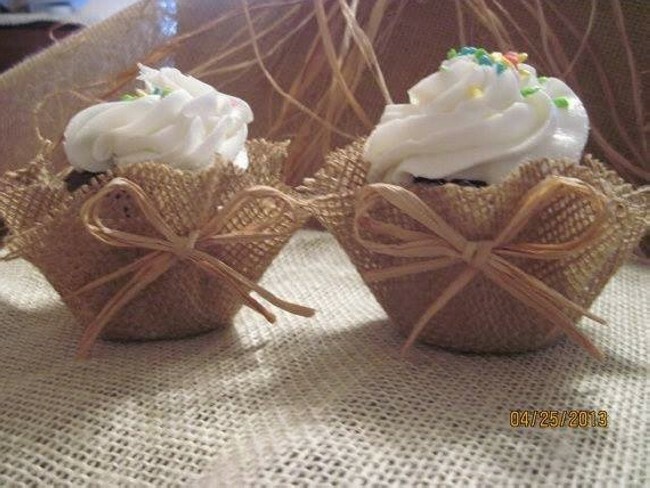 Here is a pair of burlap fabric recycled tiny baskets that are most appropriately one of the best decorative pieces in your house. They could also be used practically to contain some of your precious accessories. Whatever is the use, they would certainly look fabulous where ever they are placed. 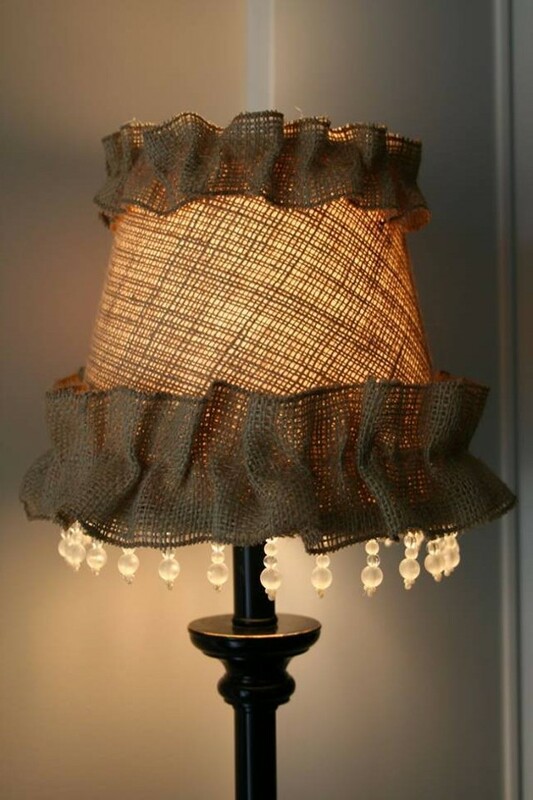 Burlap fabric has its own unique color and rough texture which makes it pretty different among all the other fabrics. 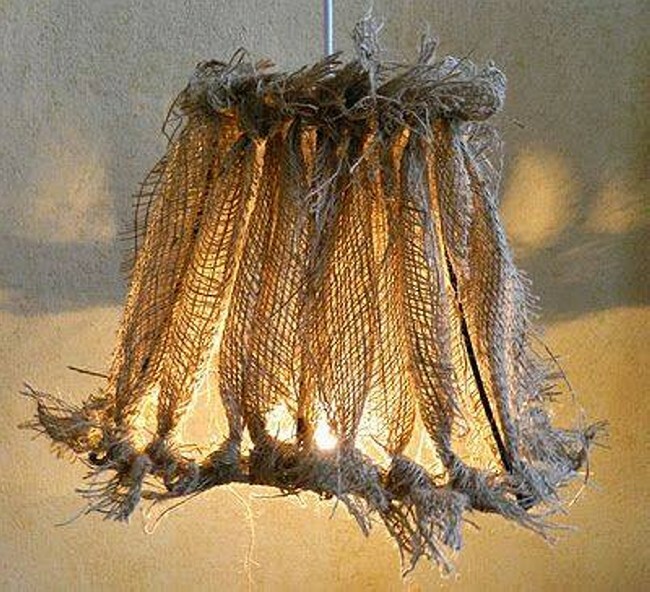 We are discussing about the possibilities of upcycling the burlap fabric into some fine art crafts. So when it comes to art, all depends on your innovation and creativity. You just keep on thinking about the feasibilities and go on making the crafts. 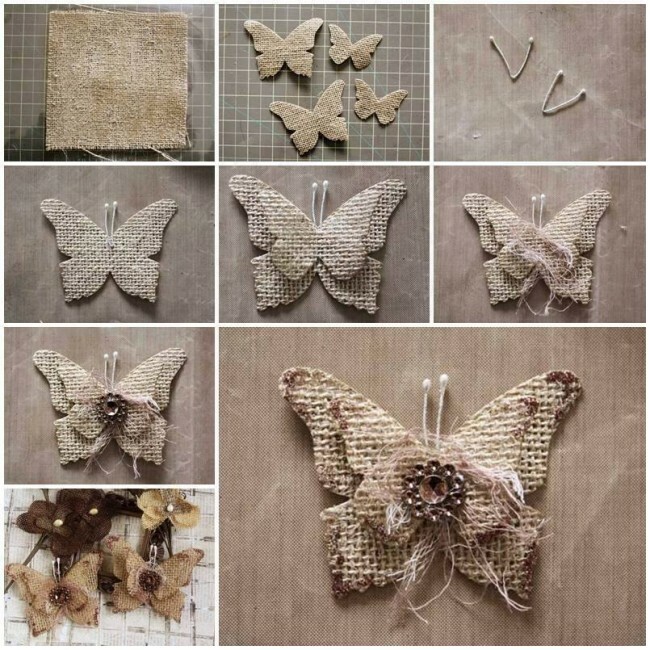 How about making some sculptures of butterflies with burlap fabric? 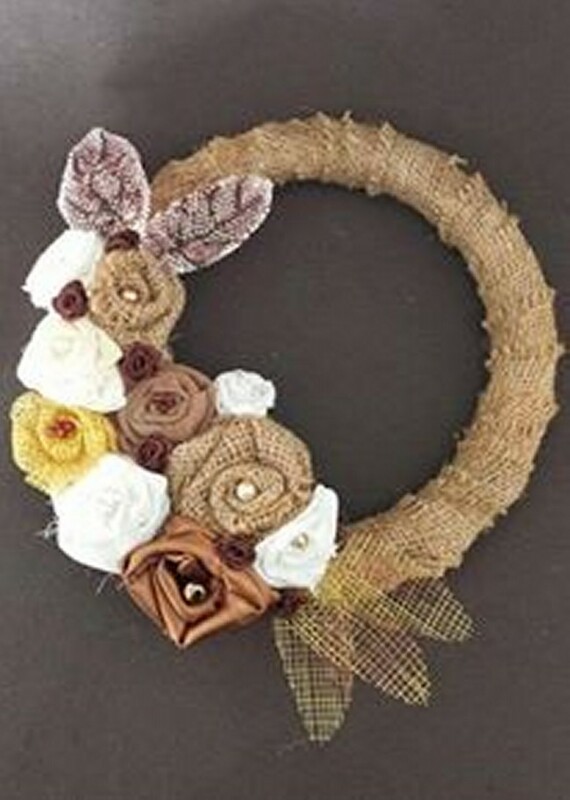 They would certainly look amazing and you can use them in various ways like a brooch on the bag, or even in wall art. How about making a number of pottery barn inspired frenchy pillows? Whatsoever is their use, they would still look great as a house is incomplete without a bed, and a bed is incomplete without some real comfortable pillows. 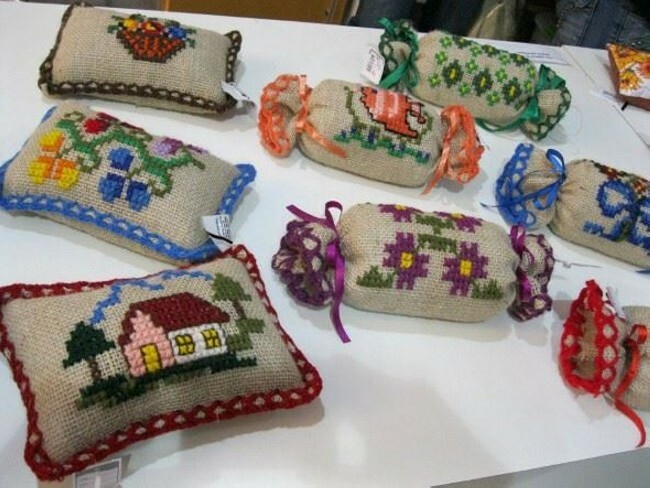 So here are a number of tiny pillows some of them are candy shaped may be for the attraction of your little kids. They are sketch knitted and also polyester filled having multiple colors. Now its upto you how you intend to use them. Whether you are going to use them practically or as some decorative pieces. 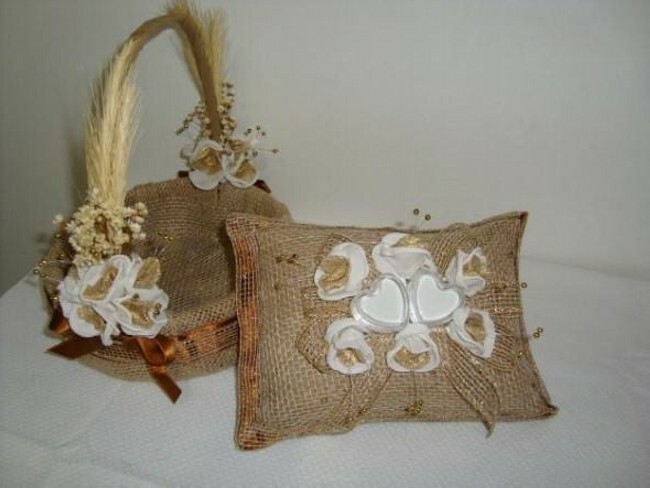 Once again here is a beautiful burlap recycled cushion that is also having some pretty broochs knitted on it and there is also a tiny burlap woven basket that is also having a ribbon all around it. 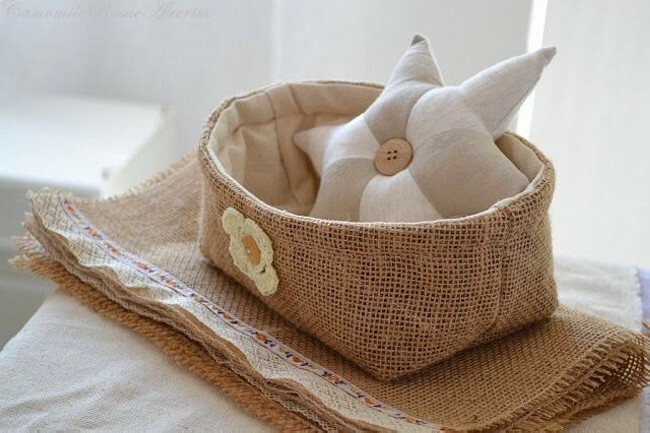 While the handle of the basket is made of some furry stuff. Though this could be used once again practically but they certainly seem more like a center piece. 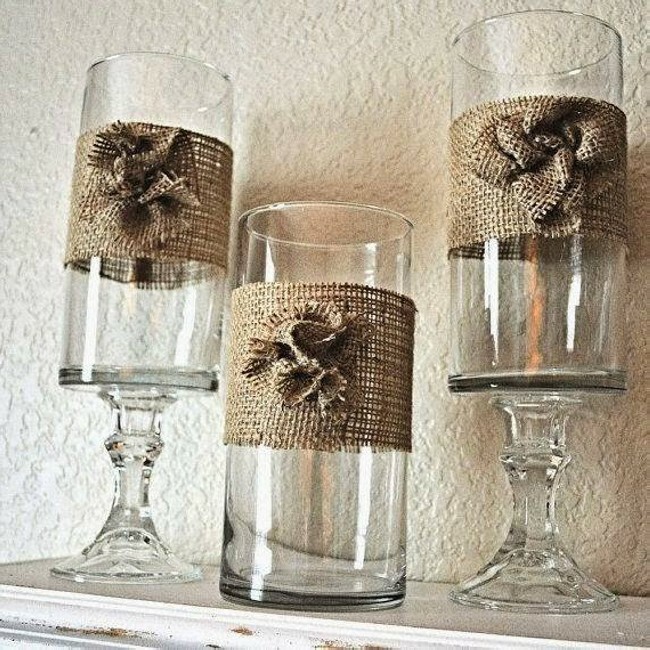 I often design my decorative or center pieces at my own by recycling different trashed objects. So this is probably going to be another inspiration for me in my next summer projects in pipeline. 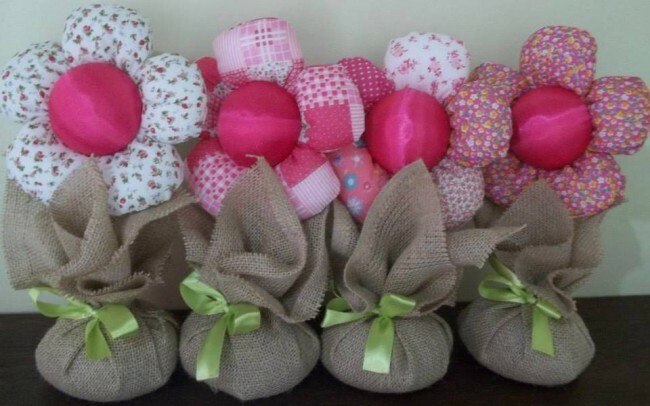 These are some fine fancy planters recycled by burlap fabric that are having artificial flowers in them. The decency and artificiality of them make it worth being placed on one of your best places in your entire house as decorative pieces. 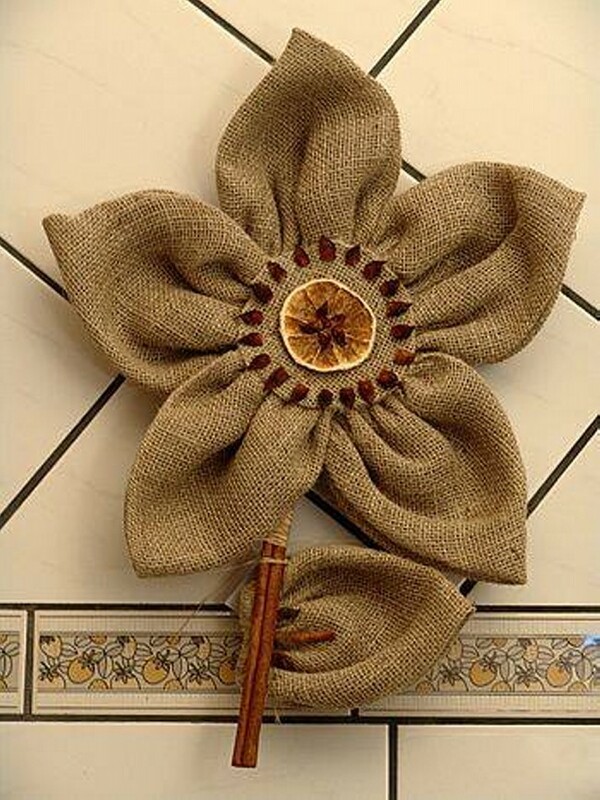 The great contrast in the rustic color of the burlap fabric and shining dark color of artificial flowers is giving them immensely great look. So this is a real gift for the ones who are really choosy and selective in the matters of interior decoration because this center piece is a blend of delicacy and sobriety. Once again here is a delicate center piece having all the rustic beauty embedded in it. This is a sculpture of a planter which is having heart shaped plants grown in it. The planter pots are also upcycled with the burlap fabric while the internal artificial heart shaped plant is also repurposed by the burlap. Though it is having some combination of tiny beads and pearls in it, but major portion of the entire sculpture is made with burlap. And this is all set to be placed in your drawing or in your lobby where ever you want the rustic look to prevail.